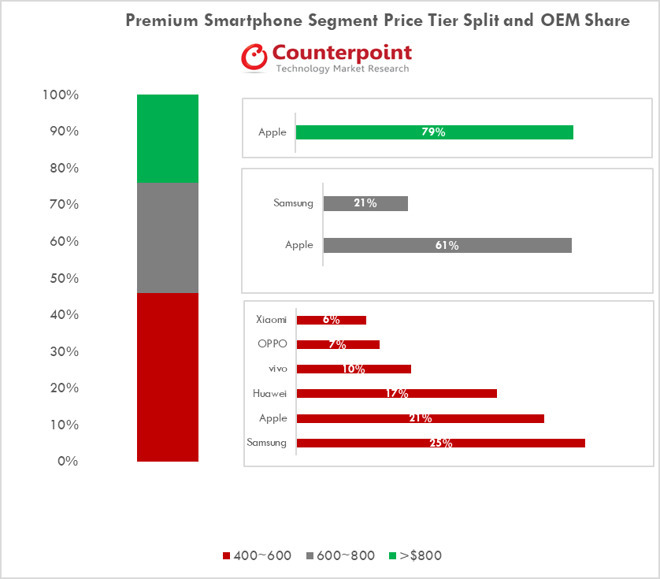 According to Counterpoint Research’s Market Monitor, Apple’s iPhone continued to reign supreme in the higher-end smartphone market in the third quarter of 2018. Although the overall smartphone market declined by 5 percent compared to the quarter a year ago, the premium segment bucked the trend by witnessing a growth of 19 percent. Premium smartphones are the ones with a price tag of $400 or higher and account for 22 percent of the smartphone market. Growth in the high-end smartphone market was primarily driven by iPhones, and flagships launched by Chinese vendors such as Vivo and OPPO. Apple had the lion’s share of the premium segment, making up 47 percent of the market, with Samsung trailing behind with 22 percent. Huawei came in third with a 12 percent market share, followed by Vivo and OPPO with 5 percent, and Xiaomi with 3 percent. Although about 40 OEMs serve the premium market, it is dominated by a handful of companies, with the top five players accounting for nearly 89 percent of the sales. Dissecting the results further, the $400 to $600 segment, which represents 46 percent of premium volume, was not dominated by Apple. Samsung took the number one spot with a share of 25 percent, Apple trailed behind with a 21 percent share, and Huawei took the third spot with a share of 17 percent. 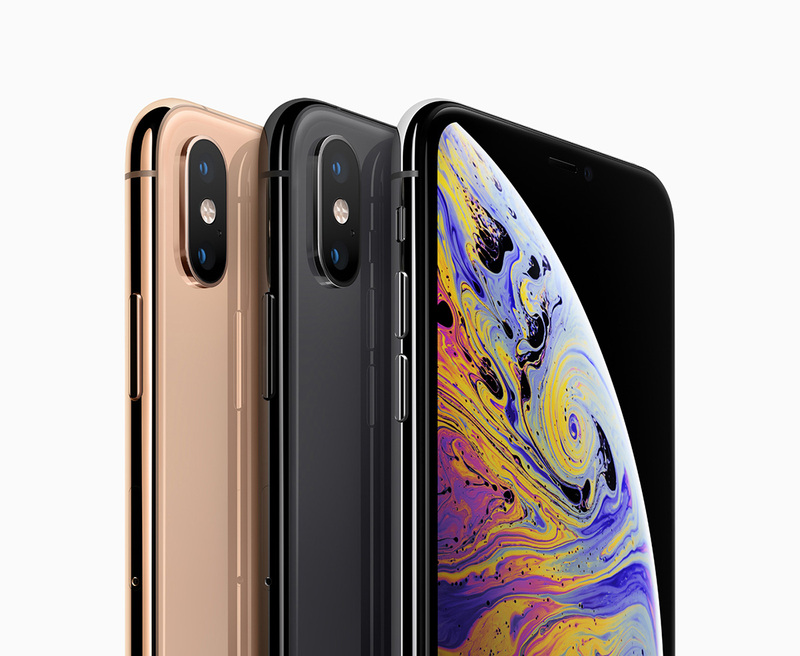 Moving on to the $600 to $800 price segment, Apple captured a share of 61 percent, followed by Samsung, which accounted for 21 percent of the shipments. Apple also emerged as a clear winner in the $800 and above category, with a share of 79 percent. The demand for iPhones was fueled by developed economies, such as the U.S., Japan, South Korea, China, and western European countries. Apple dominated the premium smartphone category in North America, Africa, Western Europe, Middle East, Asia Pacific, and China. However, Samsung proved to be more popular than Apple in Central and Eastern Europe countries, as well as Latin America. The price-sensitive Indian market was dominated by OnePlus and Samsung, elbowing Apple to the third spot. Apple is doing well in the pricier smartphone market, but it is certainly feeling the pressure from companies like Huawei and Xiaomi. Other reports have stated that the technology giant is diversifying its range of services in an effort to recover from the ailing smartphone market. The company has also reported that it will stop providing sales figures on the various products it sells when it announces its next earnings call.